Nusa Dua is an area in the southern part of Bali, Indonesia, known as an enclave of large 5-star resorts. 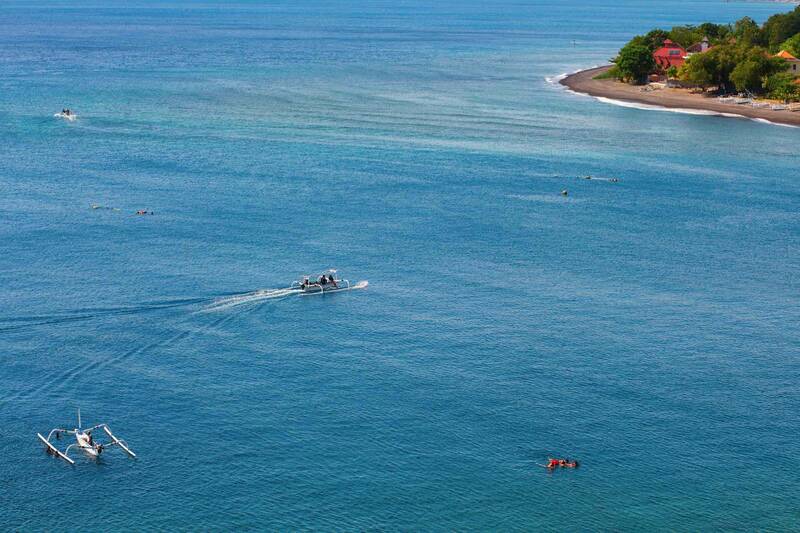 It is located 22 kilometres from Denpasar, the provincial capital of Bali, and administered under Kuta South District. Nusa Dua means two islands , because there are 2 islands in the bay of Bali Tourism Development Corporation area. 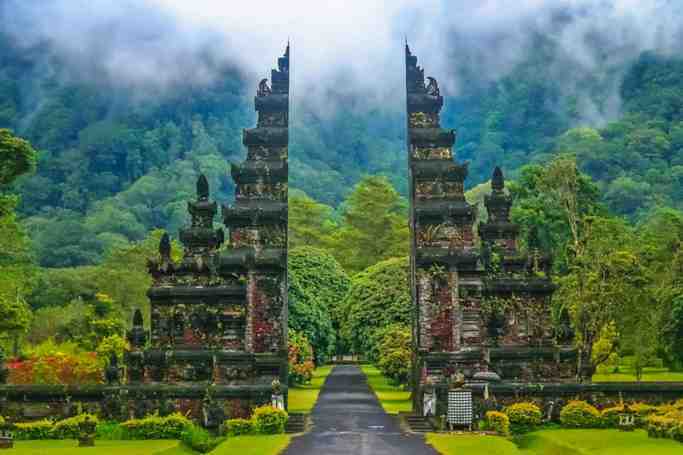 On the southern side lies Peninsula Island, and on the northern side lies Nusa Dharma Island, which is smaller but shadier, and which contains the Pura/Temple Nusa Dharma. 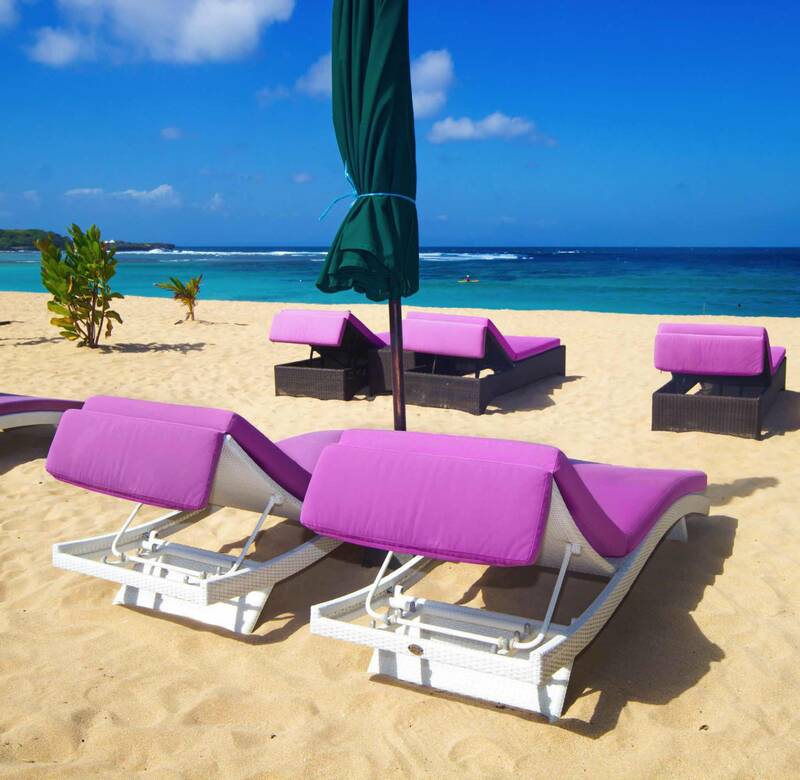 Geger Beach is located in Sawangan, about 3 kilometers from the southern area of Nusa Dua. The sea here is calm, so farmers grow seaweed here and tourists swim here. Water Blow is a spot where giant splash of sea water occurs resulting from waves hitting a rock. It is located in Indonesia Tourism Development Centre (ITDC) area. Immediately north of the Nusa Dua enclave is the peninsula of Tanjung Benoa, which includes cheaper hotels as well as Benoa village. A multi-denominational area, it includes a mosque and Chinese and Hindu temples in close proximity to each other. Much of the beach's sand was eroded away following the mining of the nearby barrier reef for construction materials. Benoa Port, also located here, was previously for yachts and small ships. It became Benoa Cruise International Terminal's turnaround port, serving as both embarkation and debarkation point for cruise passengers. As turnaround port, tourists can arrive or leave Benoa Port by either plane or cruise ship. Nusa Dua | eTips Inc.